Because we do most of our travels during the off season, we run into some hot temperatures. But no worries, there is always a cool drink or shaved ice to save the day. 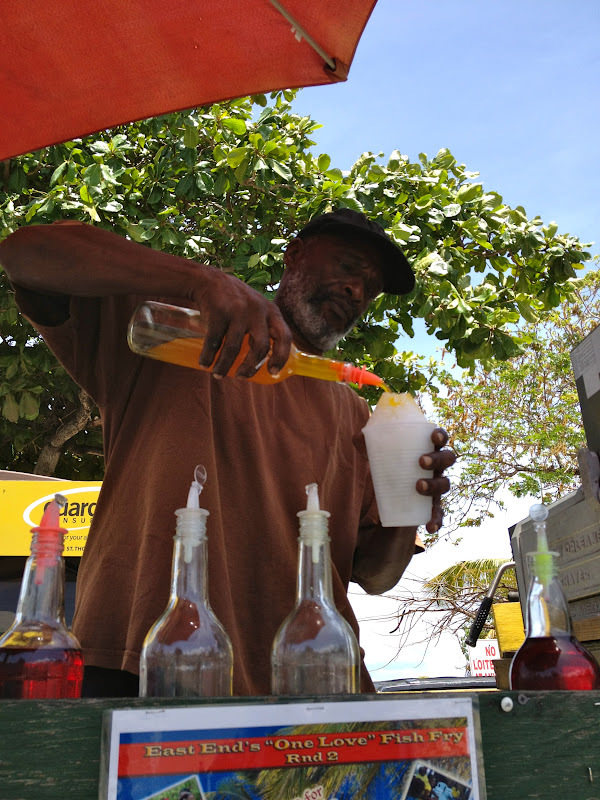 Being here in the Caribbean is a huge treat already but add a little shaved ice and it just got even better! We had a variety of flavors to choose from and you know me, I love coconut on just about everything. This sweet St. Johnian, hooked us up and we were ready to continue on our stroll. And enjoy our shaved ice looking towards St. Thomas. I love coconut everything too. I imagine we would have ordered the exact same thing. Loving all of your honeymoon pictures. That water is just amazing. I could sit and stare at it for days. That beauty never gets old! You know it's funny but I didn't get obsessed with coconut until we left the Caribbean! Silly, right.